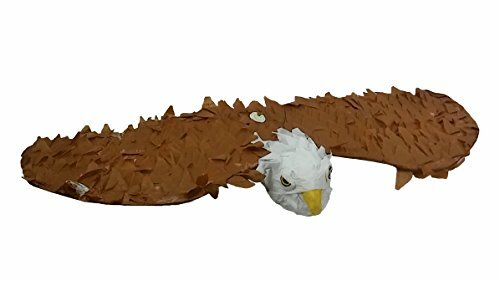 This magestic American Eagle Pinata will look amazing soaring over your next 4th of July party! This large pinata measures approximately 34 x 16 x 4 inches and can be filled with up to 3 lb of toys and candy (sold separately). Makes a gorgeous party decoration and fun party game! Use as a realistic photo prop too! If you have any questions about this product by Pinatas, contact us by completing and submitting the form below. If you are looking for a specif part number, please include it with your message.